Morelia Viridis Forum - Take a look at the incredible yellow coloration on this male Kofiau green tree python from the collection of Beantown Arboreals. Morelia Viridis Forum - Check out the fantastic Kofiau green tree python babies that a breeder hatched out, and see their impressive lineage. 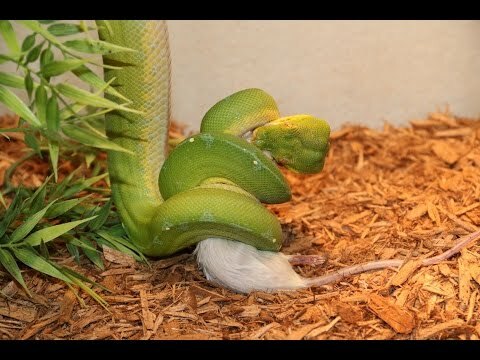 YouTube - Snake Charmer’s green Kofiau locale Morelia viridis (green tree python) eats a meal.